4. You cannot smoke outside of designated smoking areas. There are many designated smoking areas throughout the Walt Disney World Resort. 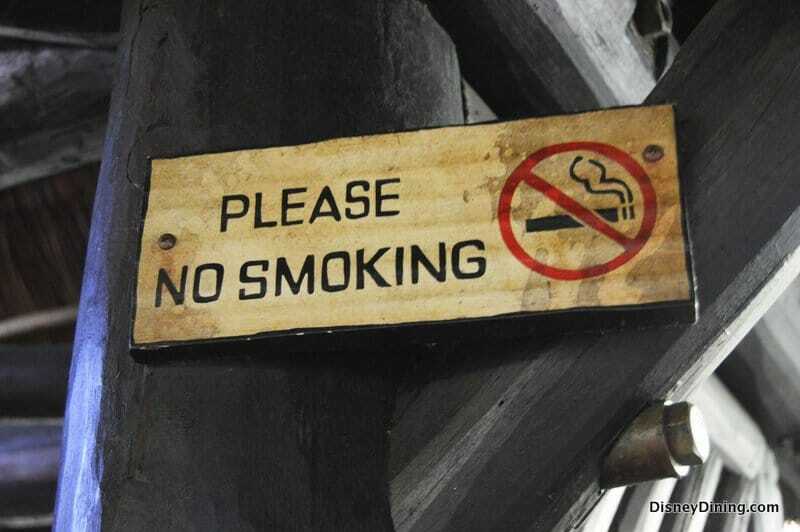 Outside of those areas, smoking is not allowed in the parks at Disney. This is for the safety and comfort of all Guests who visit. The areas that are reserved for smoking are well marked in the parks—if you are unsure about where to smoke, ask a Cast Member to point you in the right direction. Disney does not permit the smoking of tobacco, e-cigarettes or anything else that produces smoke or a vapor outside of the designated smoking areas. If you light up elsewhere, you’ll be asked to stop and move to a designated area.